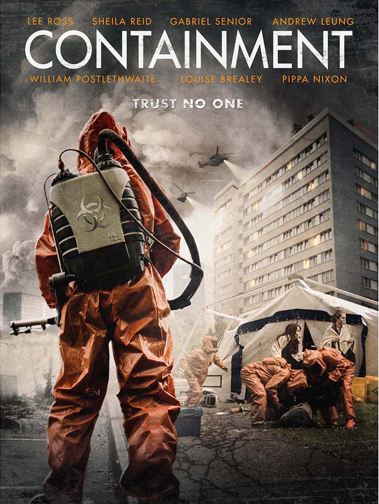 Back in October, we saw the first trailer for the film Containment released. This time it’s the poster. I do like it. It’s close to the standard colour scheme. but also far enought away to make it stand out, different but still familiar. The other news is that Vision Films have taken worldwide distribution rights of the film. That does mean that we still seem to be on for a 2015 release date. We haven’t got a precise date but, I would say, a September / October release date wouldn’t be far wrong. Find out more at the official website or on facebook.